A loan of $2,000 helped to buy makeup, hair extensions, a hairdresser, and other needed tools for her beauty salon. Lubna is a wonderful woman who tries hard to be self-reliant and provide her family a decent life. She is a 38-year-old refugee and a mother of two adorable kids living in Bethlehem, West Bank. Her husband's income is low and barely covers all the needs of his family. Lubna has a small beauty salon. She is very talented in this work, and she helps her husband with living expenses because of the difficult economic conditions. 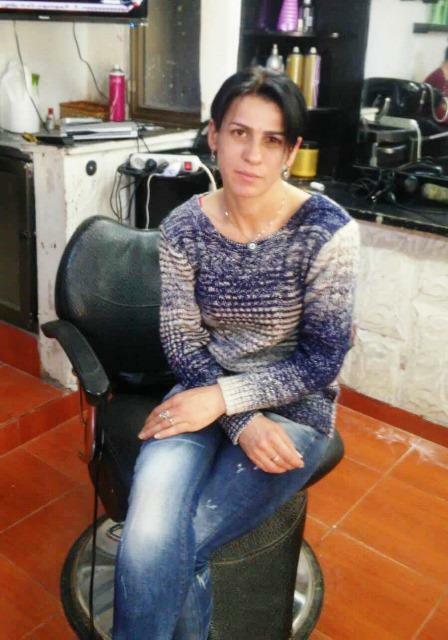 She went to Palestine for Credit and Development (FATEN) to request a loan to buy makeup, hair extensions, a hairdresser, and other needed tools for her beauty salon. This will improve her work and enhance her income. Lubna appears in the photo in her beauty salon. This loan helps Palestinian people, specifically those living in refugee camps throughout the West Bank and Gaza. Palestinian refugee camps have inadequate infrastructure and don't receive the same basic services compared to other Palestinian territories. By supporting this loan, you're helping marginalized people develop their business and meet other important financial needs.